(10-CD LP-sized Box Set with 64-page book, 226 tracks. Playing time approx. 715 mins) Damn Good Country Songs and Jerry Lee's Rock 'n' Roll Revival Show. 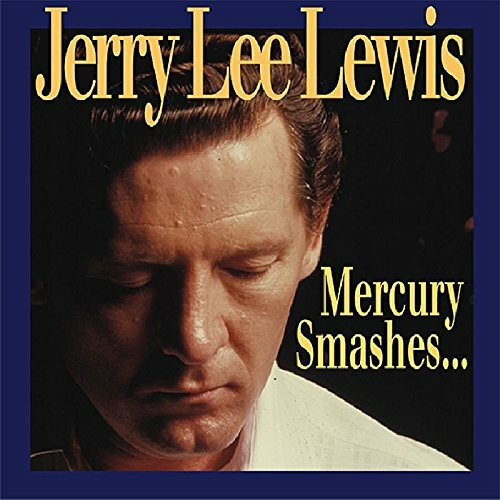 That was the story of the last eight years of Jerry Lee Lewis on Mercury Records... the story told on these 10 CDs. Between 1970 and 1973, nearly every Jerry Lee Lewis single entered the country Top 20, including such classic country chart-toppers as There Must Be More To Love Than This and Would You Take Another Chance On Me/Me And Bobby McGee. The years covered by this boxed set were the most consistently successful of Jerry Lee's career, but they were troubled years too. This set chronicles his journey from country chart-topper back to the church, and his triumphant return to rock 'n' roll with Chantilly Lace. All the classic albums from 1970 to 1978 are included complete (with the exception of the London Sessions and the live albums, which will be issued separately). The Huey P. Meaux-produced Southern Roots session is here together with all the unissued cuts and out-takes, as well as The Killer Rocks On, the rare gospel album In Loving Memories, and ten other original Mercury LPs. In addition, there are more than 40 recordings not originally issued by Mercury in the Seventies making their first appearance on CD here. This set also features upgraded sound and includes previously unpublished photos, a newly researched text and session-by-session notes by Colin Escott, and a newly researched discography by Ari Bass.